Last week on the Fiix blog, we looked into the phenomenon of post-maintenance breakdowns and why they happen more frequently than they should. It’s a troubling issue on its face: Why bother dedicating resources to a maintenance strategy at all if equipment is still going to break down? Of course, the root of the issue is much more complex. We concluded last week that post-maintenance breakdowns either occur because work is done incorrectly, or because too much work is being done overall. In other words, maintenance work that’s being labelled as preventive is actually having the opposite effect. When we look at it through this lens, PM (preventive maintenance) optimization is a logical solution to the problem. Looking at this definition, a clearer picture starts to emerge: The purpose of PM optimization is to ensure that maintenance is adding value overall. This involves looking at each PM and determining 1) whether it’s actually needed and 2) whether it’s having the effect on overall operations that it was intended to have. But how can an organization begin to determine which PMs are adding value if they’re the ones who created all those PMs in the first place? The answer lies in analyzing cause and effect. The process of PM optimization begins with looking at failure data and comparing it with your existing PM schedule. CMMS software is essential here, as it allows you to look back at work order history, failure data, and your maintenance schedule. Once you’ve gathered data on historical equipment failure within the context of the preventive work you’re doing, failure modes start to emerge. This is part of a larger process known as FMEA, or failure modes effects analysis: defined by asq.org as “a step-by-step approach for identifying all possible failures in a design, a manufacturing or assembly process.” In other words, it’s a process for determining all the different ways, or modes, your equipment can fail, and analyzing the effect that those failures have on the system as a whole. From here, you can start to parse out cause and effect. Are your PMs actually preventing the failures they are intended to prevent? Conversely, are they causing failures to occur? Can you compare the failure data to P to F curves (which measure the period between potential and functional failure) to see if a given failure can be predicted and prevented just in time? The trend here, of course, is analysis. 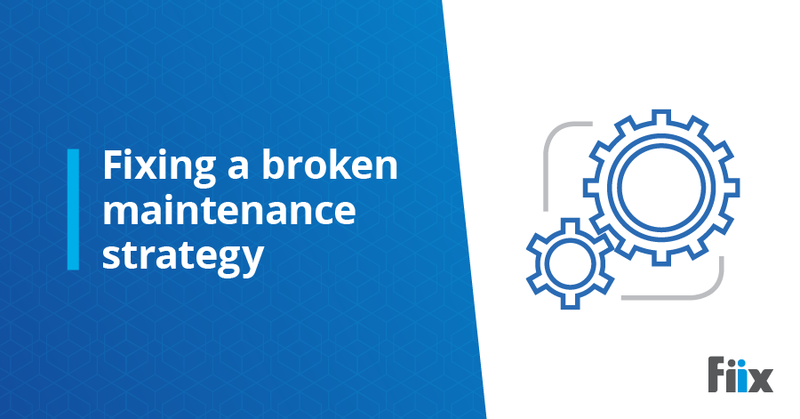 It’s the backbone of many maintenance strategies: Reliability-centred maintenance, predictive maintenance, and a carefully-planned preventive strategy, to name just a few. Optimizing your maintenance schedules via FMEA should become common practice. Put simply, no maintenance strategy should be based on a plug-and-play or fix-it-when-it-breaks mindset. If you want your preventive maintenance strategy to truly be preventive, you have to be willing to poke holes in that strategy so that you can continue to strengthen it.